We are delighted to have picked up a national award for putting the community at the heart of our £1billion plans to transform Purfleet. 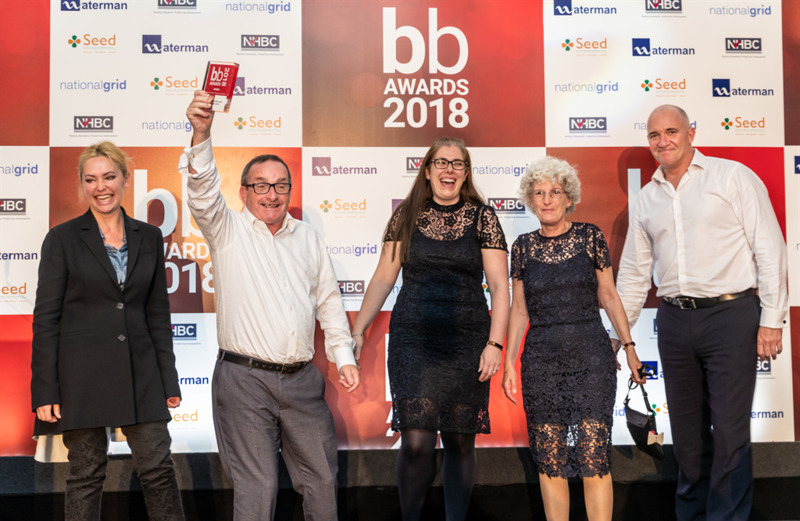 Thurrock Council and Purfleet Centre Regeneration Limited (PCRL) won the Best public participation award at the 14th annual Brownfield Briefing Awards. The award came in recognition of the approach that has been taken to working in partnership with the community to shape the Purfleet proposals and build support for the project, including closely involving the Purfleet Community Forum, regularly consulting the community and establishing a resident-led Purfleet Community Design Panel. Cllr Mark Coxshall, portfolio holder for Regeneration, said: “We are all very excited by the proposals for Purfleet and the chance to create new opportunities for our residents, including 2,850 much-needed new homes and a new town centre. “The council and PCRL have shown a strong commitment to community engagement throughout the project and I am delighted that has been acknowledged with this award. Ken Dytor, chairman of Urban Catalyst and founding director of PCRL, developer of the Purfleet scheme, said: “This is fantastic recognition of the value of collaboration and underlines the progressive approach Thurrock Council has taken to support our regeneration plans. The PCRL team were at Purfleet C2C train station bright and early this morning offering commuters bottled water for their journey- we had 500 bottles, and by 8am they had all been given out! We were delighted by the overwhelmingly positive response from Purfleet commuters, whom we hope will now sign up online to pledge their support for our exciting plans for Purfleet on Thames! We want to express our thanks to John and Trevor from the Purfleet Community Forum for their support today. Purfleet on Thames have launched their first community newsletter detailing what has happened so far, what is next and how you can pledge your support. 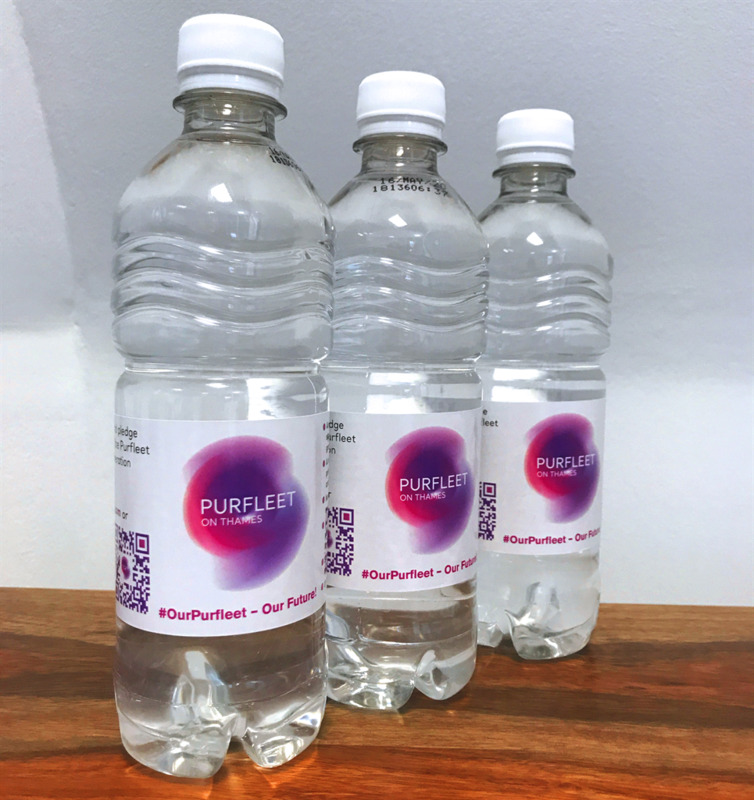 Purfleet Centre Regeneration Limited (PCRL) will be offering complimentary bottled water to C2C morning commuters at Purfleet station on Thursday 26 July, giving details of their £1billion regeneration project called Purfleet on Thames for the town. 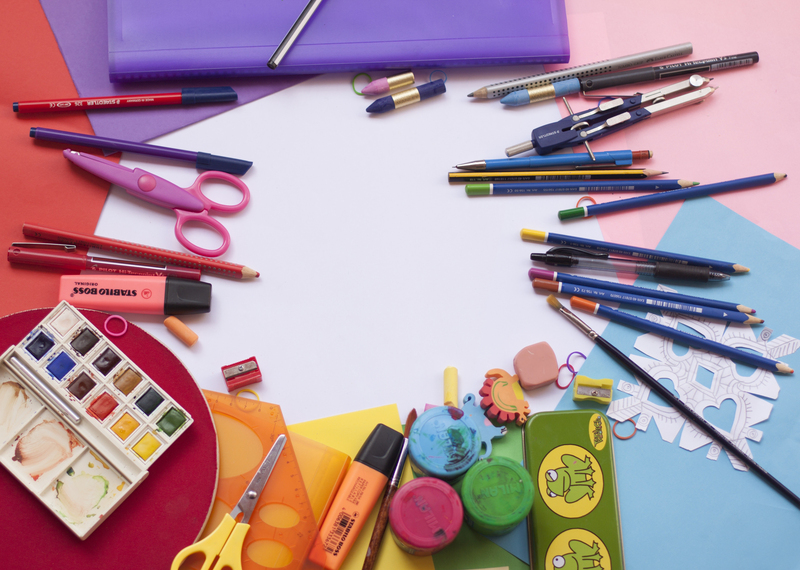 PCRL (Purfleet Centre Regeneration Limited) have launched a local art competition for children aged seven to 11 years old in Purfleet and close surrounding areas. The theme of the art competition is ‘#OurPurfleet – Our Future!’. PCRL in partnership with Thurrock Council, is delivering Purfleet on Thames as a new riverside destination and PCRL want to really get the young people engaged with what this might mean for them! The first prize for the pupil is an Amazon Kindle Fire 7 Kids Edition, and the school of the winning entry will win £250 for resources. Two pupils will also be awarded a runners up prize of £25 vouchers each. Full T&Cs are here. Learn more about OurPurfleet’s outline planning application by viewing the presentation boards from the 1 February 2018 public consultation event. 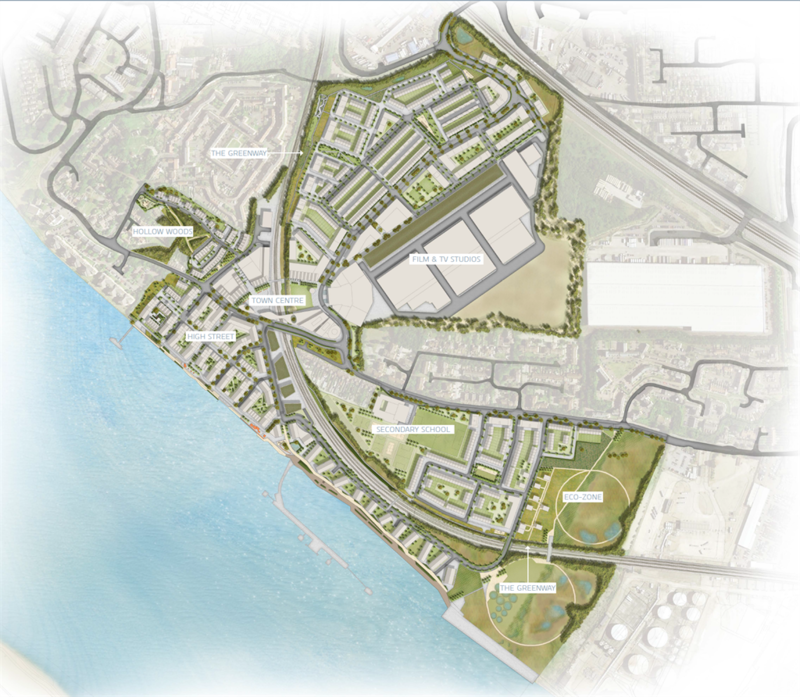 View OurPurfleet’s proposals for the development of Zone 1A. Purfleet’s £1 billion regeneration takes an exciting leap forward! Today it has been announced that Purfleet Centre Regeneration Limited (“PCRL”) have, following extensive consultation and with the support of the local community in Purfleet, submitted an application for outline planning permission for their £1billion regeneration scheme for Purfleet ahead of schedule. The application makes the scale of this regeneration clear – when completed Purfleet will have a new town centre with retail and leisure facilities, an upgraded rail station, an Integrated Medical Centre, new educational institutions and one million square feet of film and TV studios, delivered by Quartermaster Holdings, in addition to around 2,800 new homes and great public spaces for residents to enjoy. Priorities in the early stages of the development will be a bridge over the railway line to replace the level crossing, new road connections, additional school places, an Integrated Medical Centre, a children’s play area, improvements to the riverfront walkway, as well as new shops, cafés, restaurants and homes. PCRL was set up to deliver this exciting regeneration project with Urban Catalyst as Development Managers. Recently it was announced that Swan Housing Association had become a partner in PCRL and, together with Urban Catalyst, have been working to accelerate the delivery of this much-anticipated regeneration. “We are delighted to have now submitted our outline planning application to Thurrock Council. The plans documented in this application are the result of many years of work and have been shaped by our discussions with the local community, local stakeholders and industry experts. This regeneration represents a unique opportunity for us to help the local community transform Purfleet. We will bring many new opportunities to the area building on the Town’s history, it’s waterfront location and its existing cultural expertise. We are confident that these plans, if approved, will not only transform Purfleet but will ensure Thurrock’s role as a key part of the Thames Gateway region. We aim to deliver a brighter future for everyone living and working in the Borough. “The Purfleet Community Forum and the Purfleet Design Panel have supported this project from the start. Together with PCRL, we have involved not only the grownups but the youngsters as well and over the last 18 months we have guided PCRL, told them what we want and helped them design a town out of a very tired village that was all but forgotten. We will continue this work until the job is done. Swan Housing Association was first formed in 1994 and has provided high-quality affordable homes to rent and buy for over almost a quarter of a century. Today Swan operates in East London and Essex and locally manages over 11,000 homes, with a secured development pipeline of over 3,500 homes, a pipeline which is increasing to over 6,000 now that we are working on the Purfleet Regeneration. Swan was recently awarded What House? Housing Association of the Year 2017 and has been recognised as one of the Top 100 Not for Profit companies to work for in the UK by the Sunday Times. On 31 October 2017 Swan became a joint venture partner in Purfleet Centre Regeneration Ltd (PCRL) with Urban Catalyst as Development Managers for the £1bn hhousing-ledregeneration of Purfleet town centre which will include a film and production studios delivered by Quartermaster Holdings. Urban Catalyst is a mixed-use real estate development firm, established in 1998, with a strong history of delivering public - private projects exemplified by high-quality design and the creation of sustainable urban communities where people want to live. The firm’s experience as a master developer coupled with their understanding of the public sector means they can provide communities with flexible schemes that specifically meet their needs and provides wide socio-economic benefits. 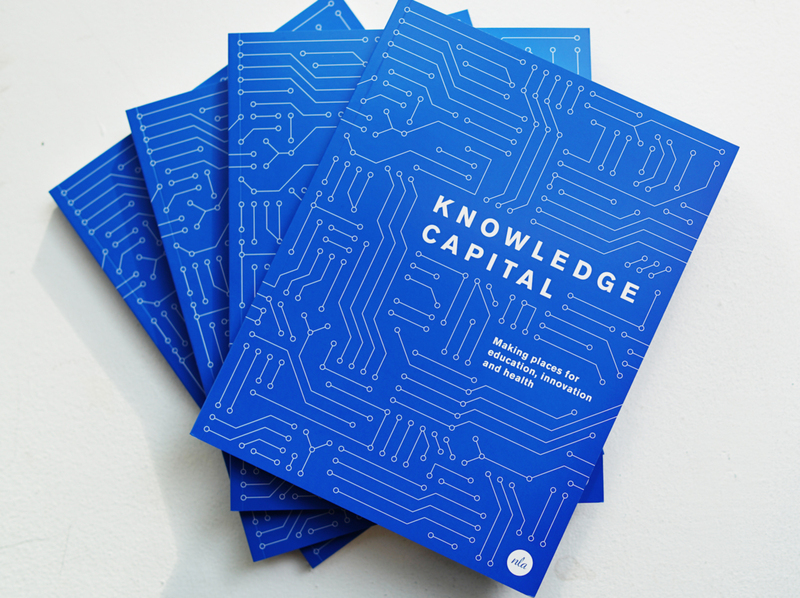 In many ways, Urban Catalyst bridges the gap between the public and private sectors in urban regeneration. Founded by Ken Dytor, who continues as Executive Chairman. The Quartermaster Studios development is media village featuring several film stages and production suites that is part of a wider regeneration scheme by the Purfleet Centre Regeneration Limited. 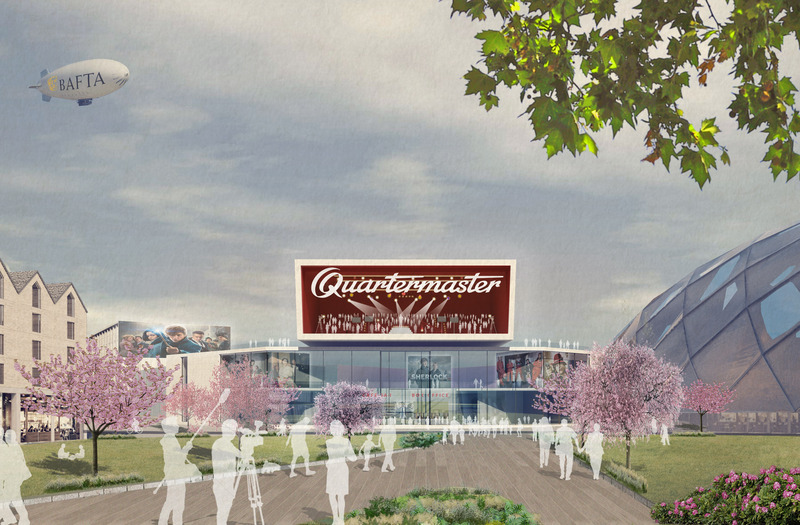 Quartermaster was founded to answer calls from a market demand in media production and to embrace complimentary brands in creating London’s first future proofed entertainment and media community within the UK’s leading and largest studio facility. 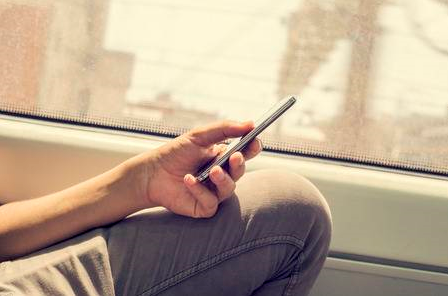 Media content production is increasing exponentially, in part due to the expanding number of platforms of delivery through the advent of smart devices and advances in content distribution technology. The media creative teams in the UK, notably recognised as internationally best in class, are in high demand and there is a growing need to develop the next generation of media creative workforce required to meet the demand in production. 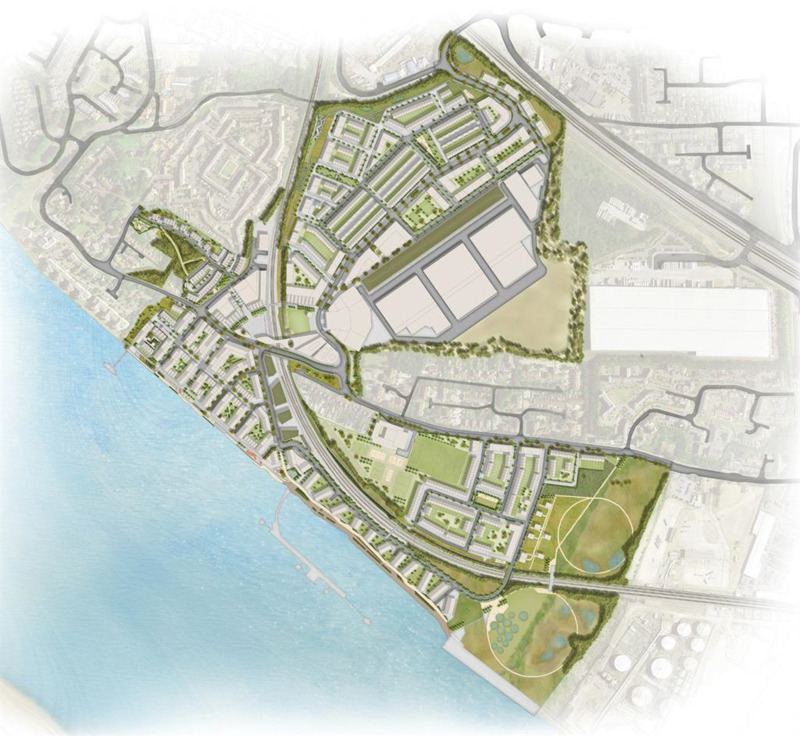 The £1billion Purfleet regeneration project takes another step forward on Monday (4 December). Keltbray, contractors working on behalf of Thurrock Council and Purfleet Centre Regeneration Limited, will be arriving in Purfleet to set up a site office ahead of the planning application being submitted before Christmas. Leader of the Council, Cllr Rob Gledhill, said: "This is an important first milestone in the project and an historic moment for the town – this marks the start of the transformation of Purfleet. "I am delighted that we have been able to get plans into action, not just talking about improving Purfleet but actually making it happen. "The redevelopment of Purfleet will not only benefit the residents in the area, but the borough as a whole. Working with our partners, we will deliver this exciting project." Cllr Mark Coxshall, Portfolio Holder for Regeneration, welcomed the news: "After years of planning, consulting and designing, residents will soon see fencing and site cabins going up ahead of the investigation works starting. "No planning permission is required for these investigation works and the good news is that we will receive the actual outline planning application in December, nearly two months ahead of the original timescale. "This scheme has been fully developed with Purfleet residents and for Purfleet residents. I’m looking forward to seeing diggers on site and us getting on with delivering this much-anticipated regeneration scheme." The investigation works will last for around 10 weeks and will be conducted between Mondays and Fridays from 8am to 5pm. Residents and businesses in the local area will receive further information delivered to their property. Download the Community information leaflet here. "Purfleet will be transformed," said Thurrock Council Leader, Cllr John Kent on Thursday (14 January) after the development agreement between the council and the Purfleet Centre Regeneration Ltd (PCRL) was signed. The agreed proposals include around 2,500 homes, 600,000ft2 film and television studios, a new primary school, a new health centre, new shops, removing the level crossing and a brand new railway station. Cllr Kent said: "There has been an unbelievable amount of work which has gone into creating these plans both by the council and PCRL and their partners. "This is a really exciting time and over the next few years we will see Purfleet emerge as a wonderful new town centre with top-quality modern facilities. "And when I say exciting, I mean exciting for people who live and work here now, not just the newcomers. People living in Purfleet today will benefit from all the new facilities, including a new school, a health centre, new shops, and not having to wait at the level crossing to get in and out of town." The council's portfolio holder for regeneration, Cllr Richard Speight, added: "People often talk down our borough and our plans, but no more. "The development agreement has now been signed by all the parties, the legal processes are over and over 2016 we will see all the planning applications coming through and some remedial work being carried out. "But in 2017 the first phase will start to rise – and that includes the school, the health centre and the supermarket. "We will also see access to the Thames being opened up in this phase of the development as well as hundreds of riverside homes, new public squares, new streets, new pathways, new right of ways, and new publicly accessible open spaces." Ken Dytor, managing director of Urban Catalyst and joint founder of PCRL added: "Our number one focus is on creating a genuinely accessible and life-changing scheme, providing affordable homes for families and a mix of uses in a true sustainable environment. "The support of Thurrock Council in creating this scheme is creating a new standard in public private partnership." Cllr Kent said: "We have seen the new jobs being created at London Gateway and the Port of Tilbury; we have seen real improvements to Grays; we will see major and exciting changes at Lakeside and at the Thames Enterprise Park and, of course, we have created a thriving cultural hub at High House in Purfleet and now we can start setting out the timeline for bringing change to the rest of Purfleet."